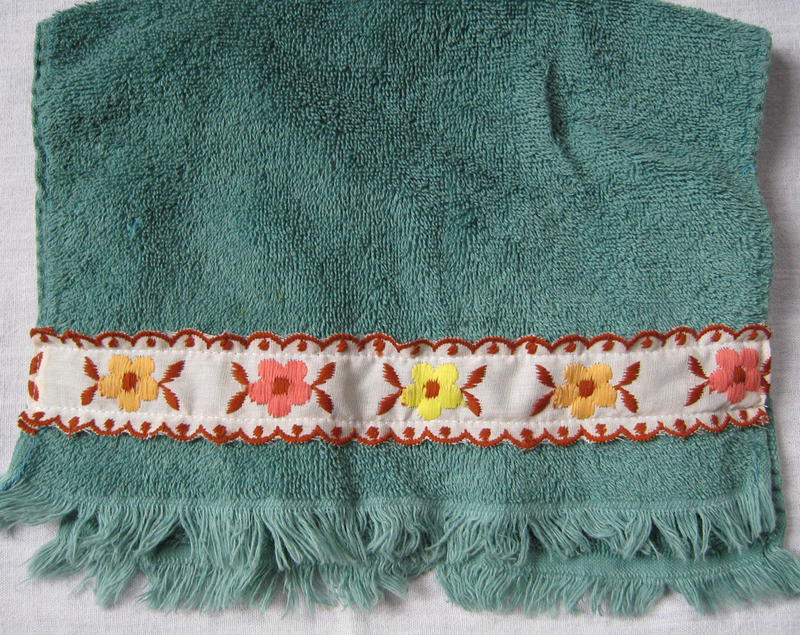 I have this vintage towel from my Grandmother with a fabric topper that buttons around a towel bar. We use it all the time and I’m afraid we’ll wear it out. To make more I started collecting little vintage handtowels and made a pattern for the topper. 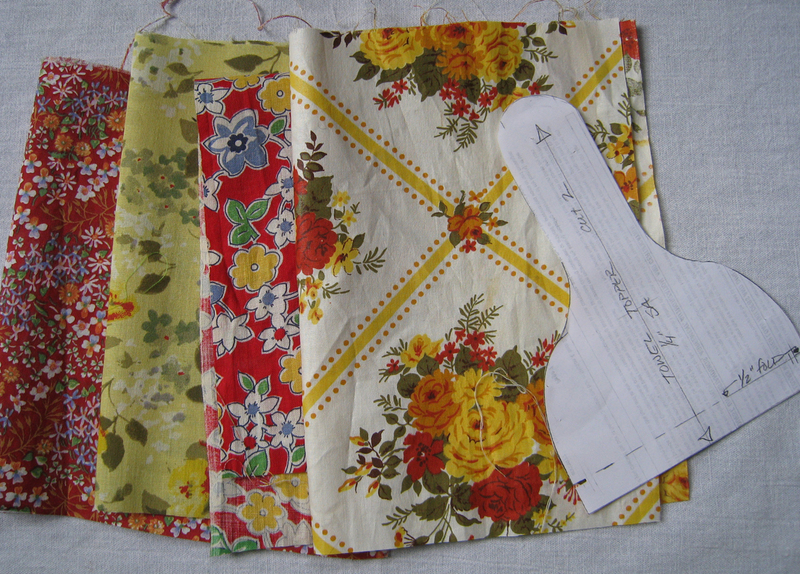 They’re easy to make and only use a small bit of fabric so they’re great for those little vintage scraps. You can find a PDF of the towel topper pattern here. You’ll need one 12″x 9″ scrap of fabric (or two 6″x 9″ ones). After you cut out the pattern, sew around the outside edge using 1/4″ seam allowance. Clip the inside curves and notch the outside curves. Turn right side out and press. Fold the open edge 1/2″ toward the inside and press. 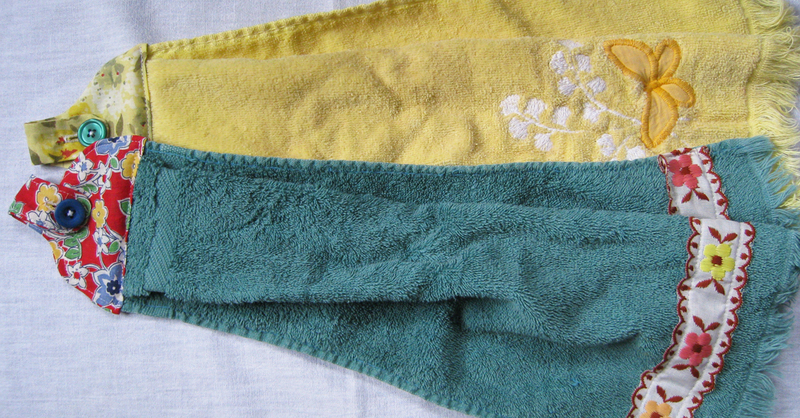 Get your towel ready by trimming off any extra bulk at the top like fringe, tags or seams. Dress up a plain towel with some ribbon along the lower edge. 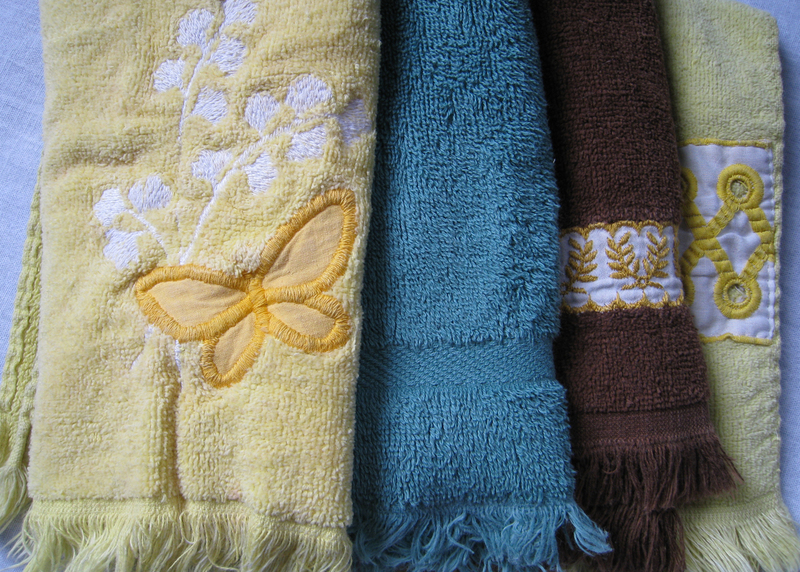 Arrange several tucks in the front along the top of the towel until it measures 4″ across. Insert the top of the towel into the topper about 1/2″. Pin or baste in place. Stitch across the topper opening about 1/4″ from the edge being sure to catch all layers. Top stitch all the way around the edge of the topper about 1/8″ from the edge. Make a button hole in the end of the tab and sew on your button. Your towel is finished and ready to be displayed and admired! That is the cutest. I have some small pieces of vintage fabric (kitchen themed, no less) and this would be the perfect project for them. You know that fear of cutting cool fabric until you know exactly how you want to use it. . . I have that same fear of cutting into something, so I end up saving them forever! If you make some of these you should send a picture! Oh those towel toppers are so beautiful! They would make such great gifts. Thank you so much for sharing the pattern. 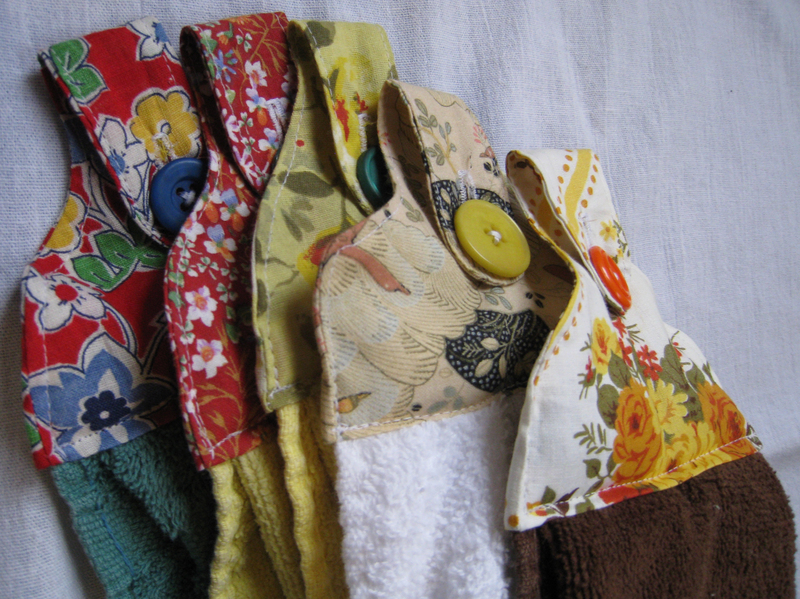 That’s a great way to use up scraps of fabric and old buttons. When the towel wears out I would just undo the stitching and replace the towel because the toppers are way too nice to throw out. Thank you so much! I love making these, I’m about to make a new batch for my new house. That is a great idea to remove the old towel and add a fresh one!